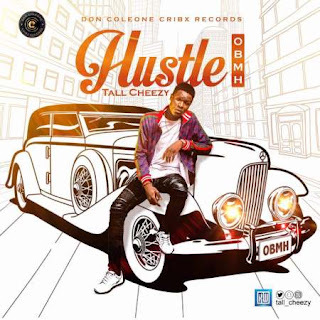 Nigerian rising artist Tall Cheezy is giving away N200,000 to celebrate his new single “Hustle”. .
@Tall_Cheezy, is excited about the success of his new single “Hustle” released 1st of August and he’s giving away N20,000 each to 10 people who can vibe to his song by singing, miming or dancing to the song in a 50 seconds video clip posted on Instagram with hashtag #HustleDCCR. . The 10 best videos with the highest views reposted on @tall_cheezy Instagram page wins the money. .
Download “Hustle” by Tall Cheezy on Notjustok.com and The411official.com or google it online. . The song is also available on all digital stores. Dear Instablog9ja fans keep the video coming!!! Conditions to win very easy!!! 1.) You must follow and tag @tall_cheezyand @cribx.coleone in the video and name ur location in ur Instagram post. .
2)Winners to be announced via @tall_cheezy Instagram page next Saturday. 3)You must comment your favorite lyrics in the song on this post by Instablog9ja. . Extra: OAPs, Djs who play and tweet song @tall_cheezy and @cribxy gets reward too. There has been no response to "10 participants stand a chance to win 20,000 naira each courtesy DCCR artist Tall Cheezy"